What makes us what we are if not our history, heritage and heredity. 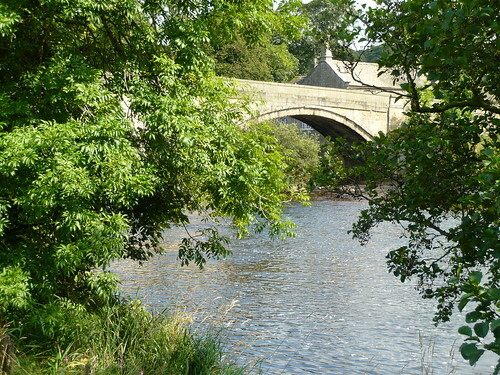 Little bridges over the gills that feed the early reaches of the river Wharfe can be found at Cray and Yockenthwaite. Crook Gill and Cray Gill have individual bridges and where they meet there is another bridge called Stubbing Bridge. Yockenthwaite is on the old packhorse route from Wensleydale to Ribblesdale and has a bronze age stone circle near by. Our first serious bridge over the Wharfe is at Hubberholme. It connects the church, (where JB Priestley’s ashes were placed), to the George Inn and is on the old drover road from Lancaster to Newcastle. Getting greedy or functional, further down stream we have seven bridges in the parish of Linton. The best view comes from on top of the otherwise ugly Tin bridge but the best looking bridge is probably Lile Emily’s bridge. 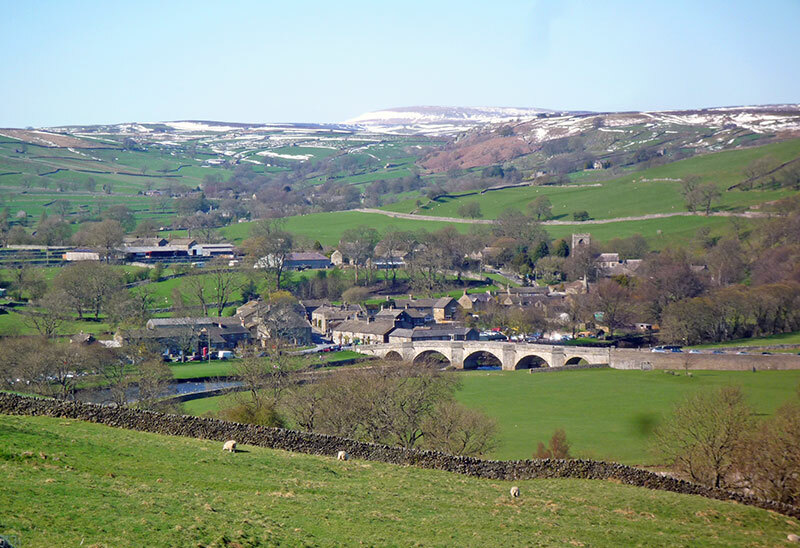 Clapper bridge, Grassington bridge and Redmaynes bridge are all worth seeking out. 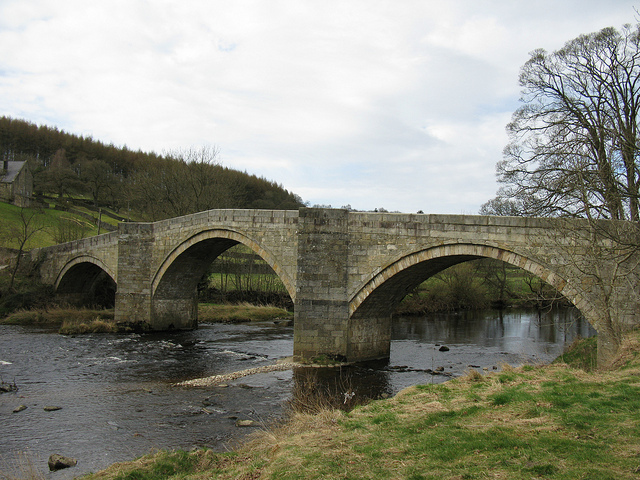 Grassington bridge is a survivor of the 1673 great floods. Near the Duke of Devonshires ‘pub’ there is the old Skipton to Harrogate bridge now by-passed. Walking from Addingham to Beamsley there is a grand suspension footbridge show at the top of the page. Ilkley Old bridge was built in 1678 to replace previous bridges including roman versions that were washed away in the 1673 floods. 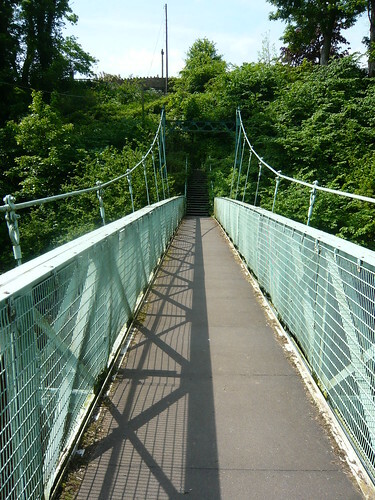 The new bridge and the suspension bridge that leads to Middleton woods have less architectural interest. 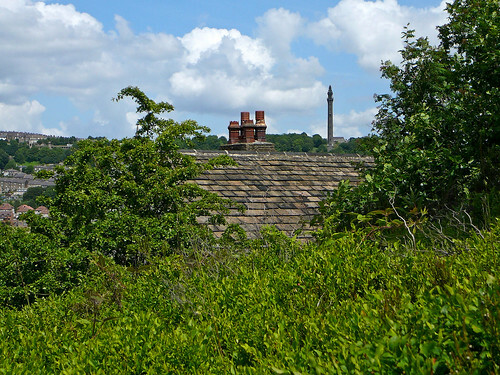 Otley has a paper works on the east side of the bridge that takes travellers from the town up towards Pateley Bridge. The river is dammed and the result is a park area where children feed the many birds on the river. There is a great deal of traffic over the bridge and it can cause queues back into the traffic lights in town but don’t let that put you off visiting Otley. 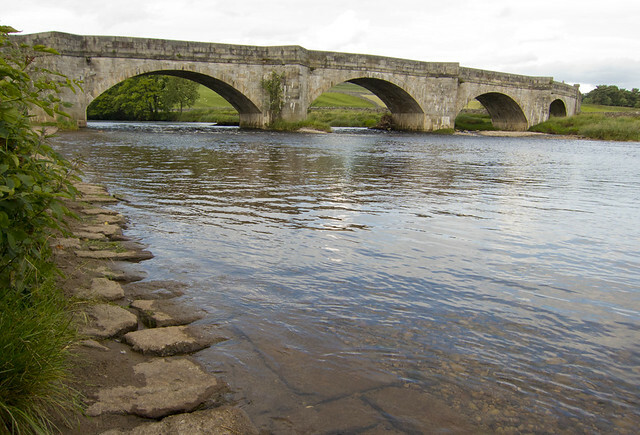 The next crossing of the Wharfe is at Pool where regular flooding used to take place. Built as part of the main road from bradfpord to Harrogate this is the bridge with the most traffic crossing the Wharfe until you get to Harewood. 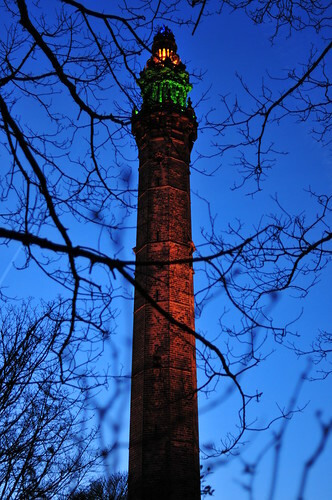 Contrary to popular belief Wainhouse tower was not intended to be a folly. It was originally designed as a chimney for the local dye works in 1873. By 1912 it had become a folly and was purchased via a ‘shilling fund’ organised by the Halifax Courier and donated to Halifax Corporation. A landowning activist Sir Henry Edwards supported the new West Riding Smoke Prevention Society and their campaign against Washer Lane dye works that was owned by John Edward Wainhouse. Soon after starting the chimney Wainhouse sold the dye works but retained his interest in the chimney. The design was modified to include the octagon, corona and final pinnacle which have given rise to other names for the tower including Wainhouse’s Folly and Octagon Towers. The tower is 250 feet high and is said to have cost £15,000. A staircase of 400 steps winds round and round between the chimney bricks and the the outer casing. Every now and then there are window slits and two viewing platforms. Great views of the surrounding Calder valley, Kings Cross, Blackstone Edge, Castle Hill and Sowerby bridge can be seen from this vantage point. During the Second World War Wainhouse Tower was used as an observation post but never functioned for its original purpose as a chimney. Never the less it was the basis of a major falling out of the two main parties John Edward Wainhouse and Sir Henry Edwards of Pye Nest estate. Pontefract Cakes are Yorkshire Delicacies that rank alongside or ahead of other sweets named after Yorkshire towns. Harrogate toffee may be a premium product but hasn’t got the tang of a good Pontefract cake. Doncaster butterscotch is hard to find now-a-days but it used to be a kids staple bought loose from an old sweet jar. 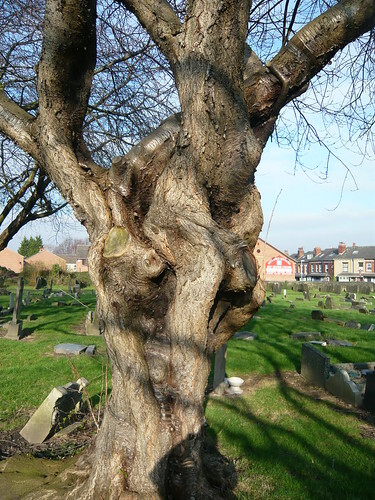 Pontefract grew liquorice plants potentially since Roman times although credit is give to The Black Friars for cultivation. The roots provide the raw material for your Pontefract cakes. Roots can be 4 feet long and by crushing and boiling the sweet juice is extracted. As discovered in 1760 by George Dunhill a local chemist if more sugar is added the sweet becomes a true Yorkshire delicacy. Licourice is made into lots of other sweets such as boot laces, wheels, pipes and cigar shapes. 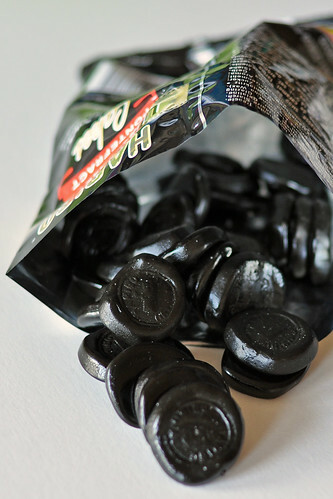 For Pontefract cakes more liquorice liquor is added to the mix which also includes flour, treacle and glucose. The round cakes are then stamped or impressed with a seal. Such a seal from 1614 is kept in a local museum. All seals have a motif of a bird on a gate that represents Pontefract Castle. Spain and Turkey have developed the growing of Licorice and UK cultivation has slumped. The plants are still used in the manufacture of tobacco. 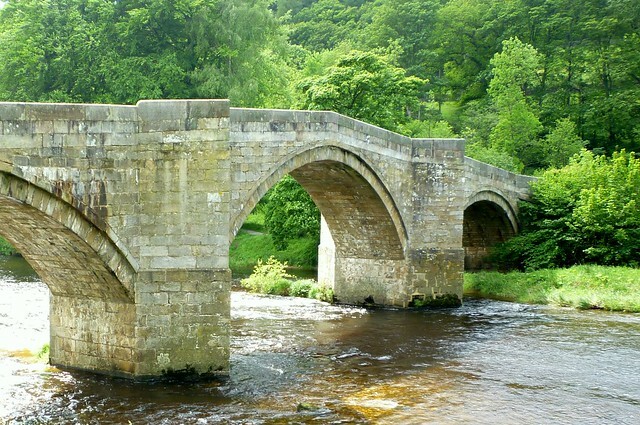 Approach Barden Towers from Appletreewick on the riverside path and the first thing you see is a graceful stone bridge of three segmental arches. The massive pointed cutwaters provide niches in the parapets. The bridge is humpbacked and quite narrow at around 10 feet. Whilst the first recorded bridge existed in the 14th century it was probably not the first. In 1659 £300 was spent on the bridge but by 1673 it was washed away in a ‘great inundation of water’. A tablet on the approach wall records ‘This bridge was repayred at the charge of the whole west riding 1676’. New parapets were placed in situ in 1856 and again in 1956 after heavy flooding. Walkers can stand in the niches and admire the flowing Wharfe as it gurgles under the bridge towards Bolton Abbey, Ilkley and beyond. It is said the bridge was crossed by William Craven a local farmers son who went on to be mayor of London. Burnasll bridge is one of the most photographed bridges in the Yorkshire Dales and I make no apology for the photo below. Returning to William Craven who left the dale, was apprenticed to a London mercer and became mayor of London in 1611. 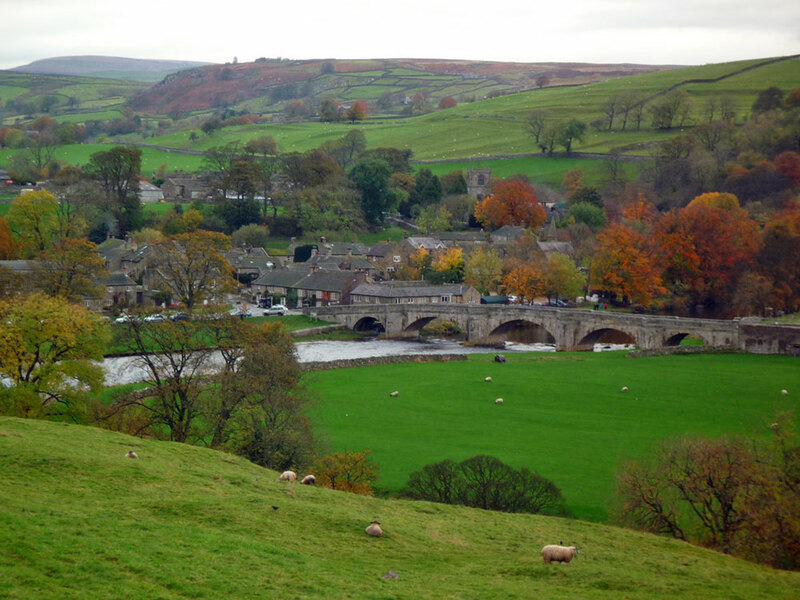 From his newly created wealth he endowed Burnsall Grammar School, restored the church and bore the cost of rebuilding the bridge. There are three segmental arches with small side arches and triangular section cutwaters which create pedestrian retreats. This bridge carries now significantly more traffic than Barden bridge. 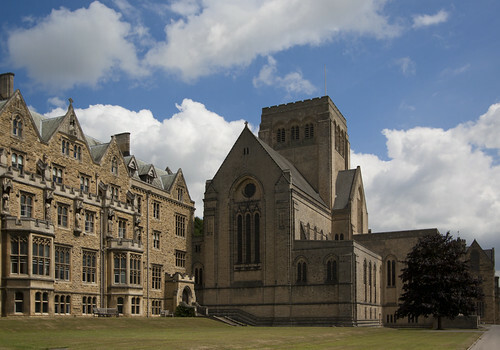 Ampleforth village is home to an abbey, college, school and the parish church. 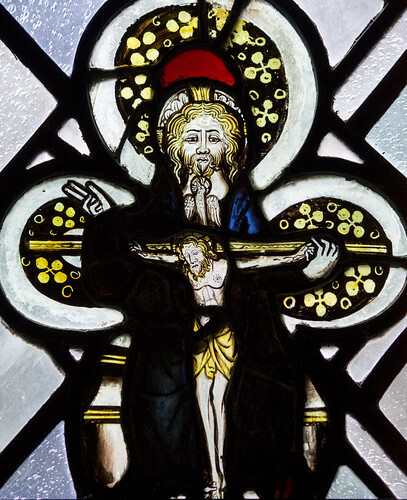 The Saxon church of St Hilda at Ampleforth is believed to contain Medieval stained glass windows. Certainly the C.of E. church dates back to 1390 although the stained glass is said by some to be of a more modern design. 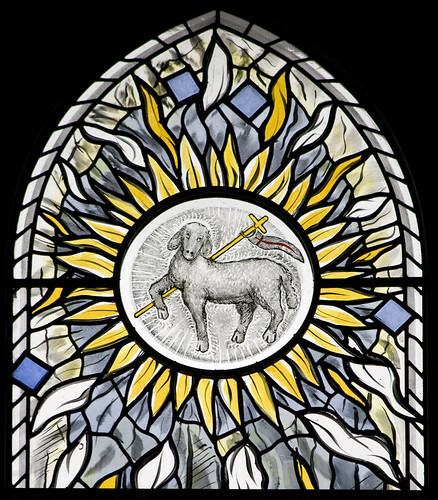 The Benedictine monastery or abbey and its church of Our Lady and St Laurence contains modern stained glass created by Patrick Reyntiens a former pupil of the catholic school. Patrick Reyntiens is a former pupil of Ampleforth College. Patrick is a worldwide figure known for hand-painted stained glass that he has been designing and making work for over 50 years. He is renown for his work in Churches and Cathedrals in the UK and Internationally. This includes the Baptistery Window of Coventry Cathedral where he collaborated with John Piper. His other famous works include windows at Liverpool’s Catholic Cathedral of Christ the King. 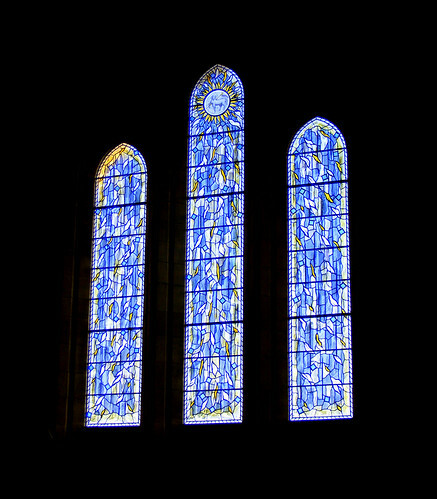 For Ampleforth he designed the new windows with his son, John, also an accomplished stained glass craftsman. John Reyntiens designed and replaced many of the windows at St George’s Chapel Windsor after the destructive fire of 1992. Ampleforth Abbey is only 1 mile away from the village. You can discover the Abbey as visitors are encouraged to attend church services or visit the grounds, lakes and woodlands. In these modern times there is now tea rooms, a shop and a visitors centre. You can even play a round of golf on the Monks course. Our Lady and St Benedict’s church is served by the monks of Ampleforth and has been the parish church for the village’s Catholic population for many decades, often being considered a chapel-of-ease to the farmers of the area. Attached to the Roman Catholic parish is the co-educational primary school, St Benedict’s, which is run by the Diocese of Middlesbrough. The Church of England parish church is dedicated to St Hilda, an English abbess who founded Whitby Abbey. The church dates back to Saxon times, with elements from the 13th century. Attached to the church is a primary school run jointly by the Church of England and the North Yorkshire County Council Education service. Ampleforth Abbey & Church by Lawrence OP Completed in 1898, the Benedictine monastery of Ampleforth with its church which dates to 1925. – from the Rule of St Benedict. 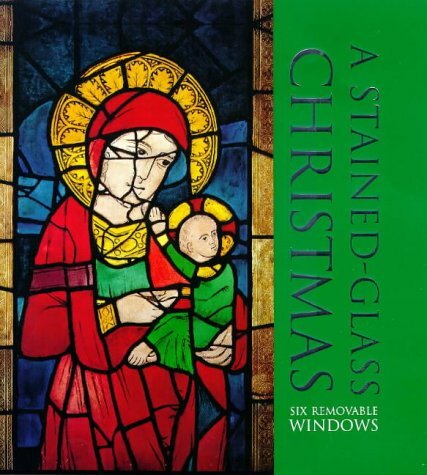 A Stained-glass Christmas by Patrick Reyntiens tells the Christmas story illustrated with a collection of stained-glass images dating from the 12th to 15th centuries. Each is reproduced as an acetate window which can be used as a christmas decoration. This is a 100 year old view from Whitby’s famous wooden Swing bridge. A centenary celebration of the building of the Swing Bridge and reopening in 1909 will take place on 8th August 2009 between noon and 7.30pm. There will be Bridge decorations, period costumes, indoor photo displays of building work, and a re-enacted Opening ceremony. 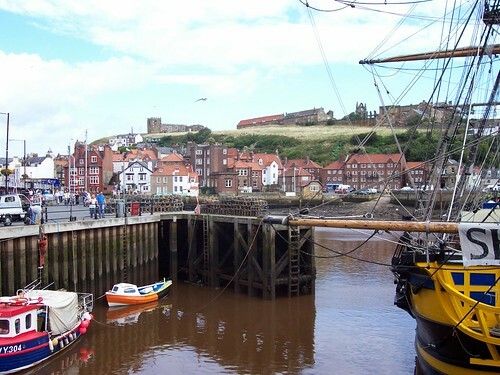 Whitby does this sort of thing very well so expect Marching bands, static life boat display, street theatre, Sea shanties and a Full sail past with modern and older local traditional craft. Whitby Pannett Art Gallery is also holding a week long art exhibition featuring the bridge. The swing bridge joins the two communities East and West of the river Esk together. It has been the scene of rivalry in the earlier part of the last century, where gangs of youths would contest the bridge with ” t`other side o` watter dogs “. Now a days it is drinkers from pubs at either side of the river that contest the quantity of ale to be supped. The original bridge was first mentioned in 1351 and used to lie to the landward side of the present one, roughly aligned with Baxtergate. Centuries ago, houses on wooden piles overhung the river above and below the bridge. Each section of the bridge swings independently and the bridge is staffed 2 hours each side of high tide. Many visitors get to see it in full operation or even queue good naturedly in the resultant traffic. ‘A soldier with 1st Battalion the Yorkshire Regiment is pictured on patrol in the Nahr-e Seraj district of Helmand, Afghanistan. B Coy (Company) 1st Battalion the Yorkshire Regiment (1 Yorks) based at PB(Patrol Base) Rahim in Nahr-e Seraj North (NES North) District occupy PB Rahim itself and 3 small Check Points(CP) dotted around the Area of Operations (AO). 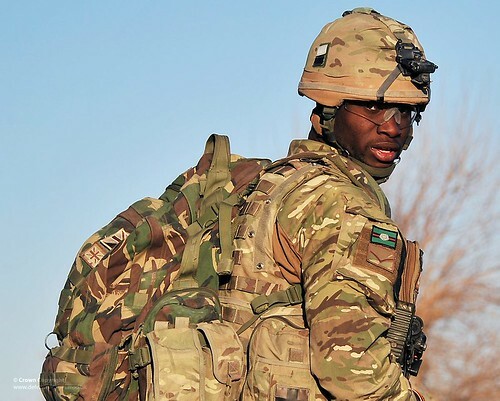 B Company’s job is to ensure the security of the local population by conducting foot/vehicle patrols and Operations. B Coy’s works closely with the ANSF (Afghan Security Forces) particularly the ALP (Afghan Local Police) who are locally based’. The Band of The Yorkshire Regiment is less than 4 years old and is one of the newest of the nineteen Territorial Army bands. The band is keen to recruit musicians looking to perform in a spare time basis without the full commitment of the Regular Army. The Band performs in a variety of military and public events across our Regimental footprint area of Yorkshire and the North East of England. These include include dinner nights, marching displays, concerts, ensembles and other forms of groups. The Band recently visited Germany where it undertook this year’s fortnight training camp. As you may expect of The Yorkshire Regiment it has a large number of musical pieces associated with the county and the regiment’s long history. “Ca Ira” – The Regimental Quick March is the only piece of music to have been ‘in action’, when the 14th Regiment of Foot struck up the French Revolutionary song to then defeat the old enemy at the battle of Famars in 1793.
Credit to the Regimental band web page for their oeuvre but I hope they do not play as many wrong notes as they make spelling mistakes when they even get Ilkley wrong! I would call it a Yorkshire sin but then I realise who I might be criticising and back off – Well done lads! Heather moorland is worth protecting and Yorkshire manages to do that better than many especially around Ilkley. Bell heather also known as Erica cinerea has dark pink or purple flowers and generally flowers first in late July. Cross leaved heath has leaves arranged in crosses of four on its stems. It has pale pink flowers and can often be found in boggy areas. The Moorland Association, whose members manage about 90% of England’s heather moorland host thousands of bee hives. Pollen from heather makes excellent honey and the scent is excellent. 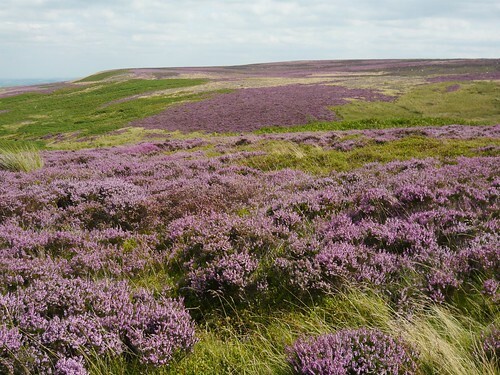 Heather moorland is one of the rarest habitats in the world. Ilkley moor is crucial for ground nesting birds. Red grouse eat young heather shoots but they like to shelter and build their nests in taller, older heather. Gamekeepers therefore have to make sure there are some patches of young heather and some patches of old heather on the moors if they want to have enough grouse to shoot. Local people used to use heather to make a type of broom called a besom to sweep their cottage floors. Heather is available in many varieties and they contribute to ornamental or specialist gardens. White Heather is said to be lucky but count yourself lucky if you can walk through a purple flowering moorland Yorkshire landscape. 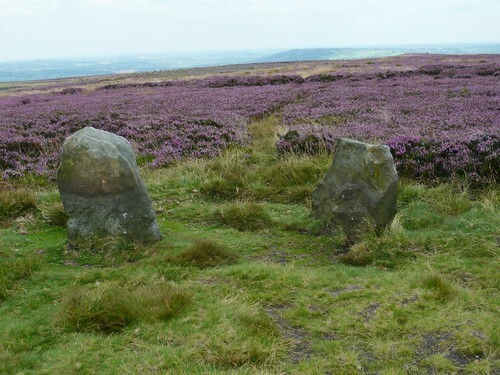 That is not to say that the other tracts of moorland and heather in Yorkshire are not in great condition. I particularly like the area around Goathland. 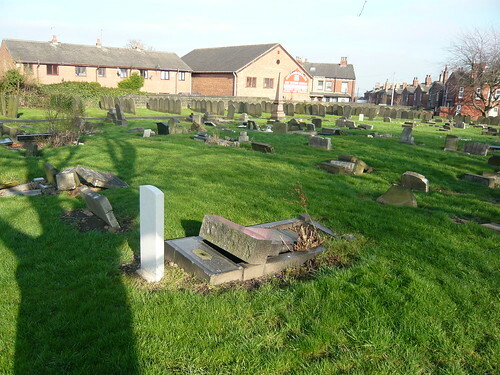 Beeston has a couple of old grave yards that are sadly being damaged as head stones fall or are vandalised. 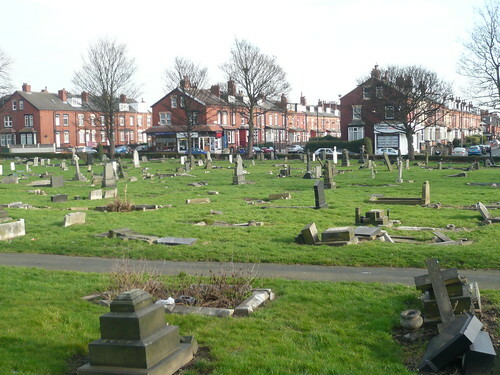 From St Mary’s churchyard go down Wesley Street and follow the grave yard contour to walk along an old right of way crossing Sunnyview Gardens to Beggars Hill. Turn right down Noster Terrace (of Pater Noster fame) following along and round the wall of Holbeck cemetery. At the entrance go up to the war memorial then towards the imposing gates and lodgehouse. Just past these gates is a large tomb and Grade II listed monument of the Marsden family. Henry Rowland Marsden was born in ‘Holbeck, Leeds in 1823 of poor parents, and began to work in a local mill at the age of 10, becoming an engineering apprentice at 15. In 1848 H R Marsden emigrated to the USA where he made a successful career in mechanical engineering and returned a wealthy man. In 1862 he set up a factory for patent stone-crushing machinery to take advantage of the demand at that time for road building. He received numerous medals and honours for this and other inventions, is credited with founding the Leeds Music Festival in 1874 and was Mayor of Leeds 1874-5.’ He died at what we now think of as the young age of 53. On the wall furthest from Beeston there are serried ranks of similar grave stones that mark the communal graves of paupers from the late 19th and early 20th century.